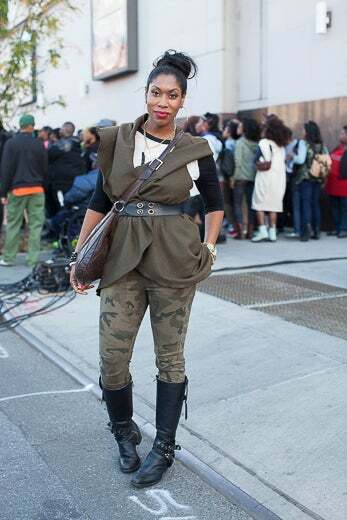 Brooklyn's Restoration Rocks music festival drew a selection of stylish ladies in creatively layered looks. 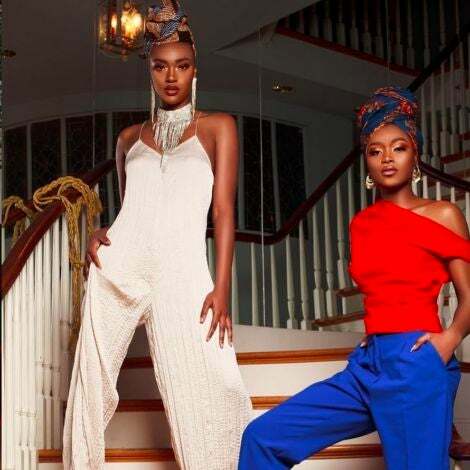 Check out how these festive fashionistas came to party. 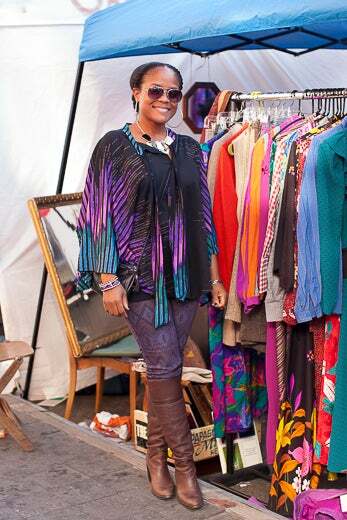 Jennifer Sinigal from Los Angeles is feeling fashion fatigue. 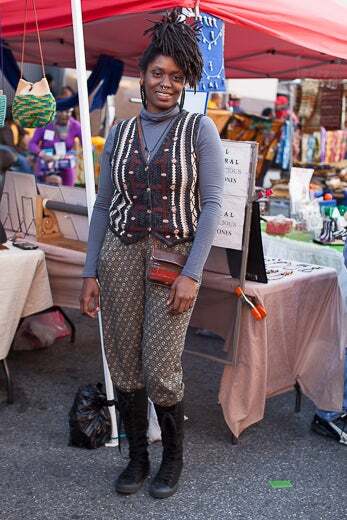 Krystal Ugo from East Harlem is layered eclectic. Toni Grant from Texas in a little denim-on-denim action. 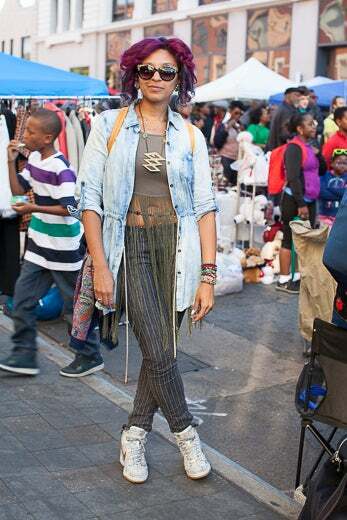 Chanel Kennebrew from Brooklyn pairs statement pieces. 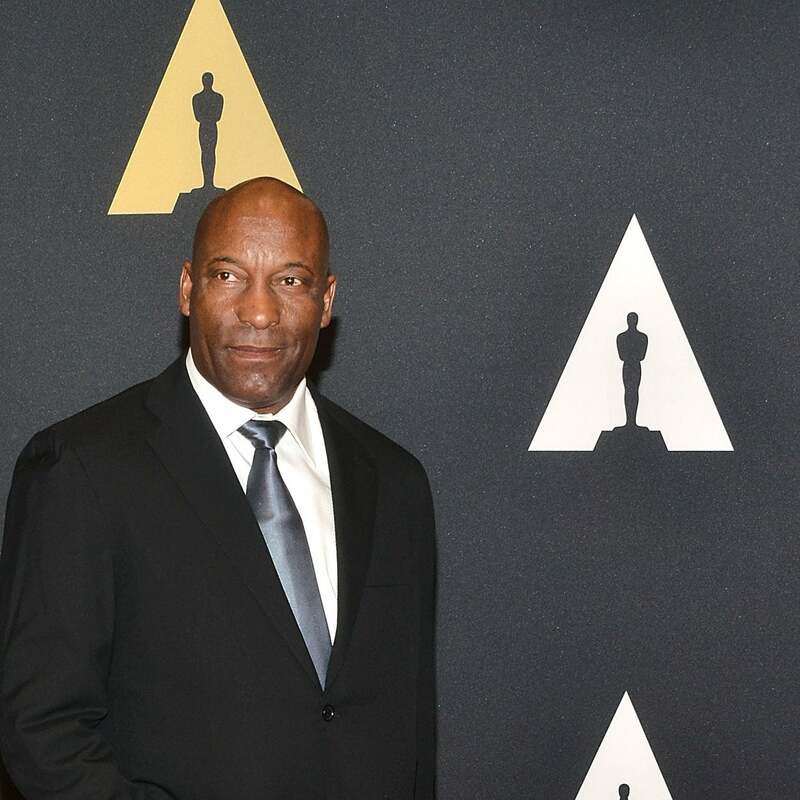 Lisa Yancey from New York having a motorcycle-inspired moment. 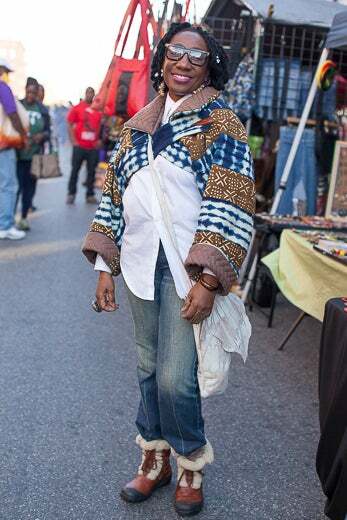 Emma Benn from Philadelphia keeps it casual, cool but still pulled together. 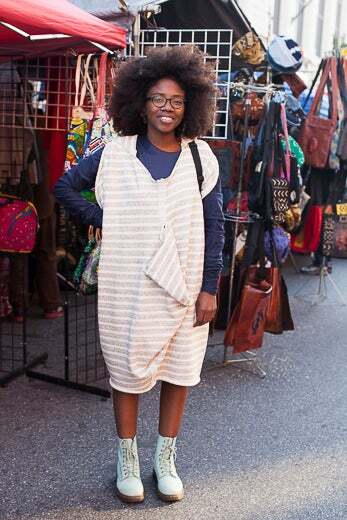 Nicole Dennis-Benn from Jamaica in the quickest fashion fix: a onesie. Tann Parker from California sporting a little shape and pattern play. 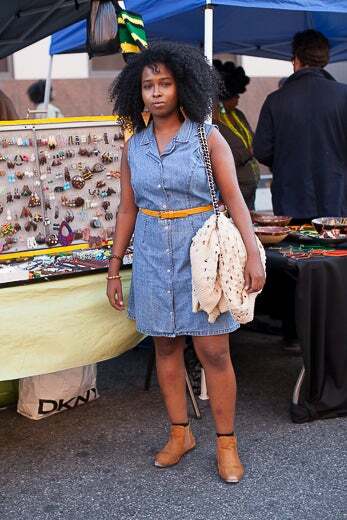 Shokri Abdullahi from Ohio goes beyond pants to rock the denim trend and opts for a casual jean dress. 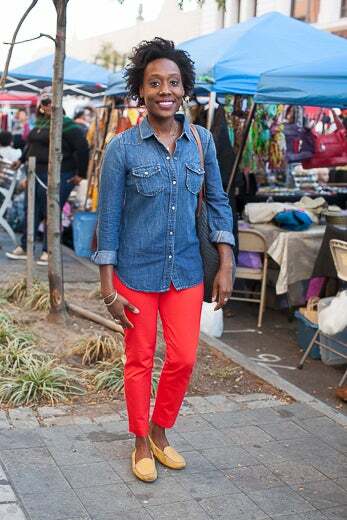 Jasmine from Brooklyn pairs style staples like a button down shirt and jeans with a bold pattern piece. 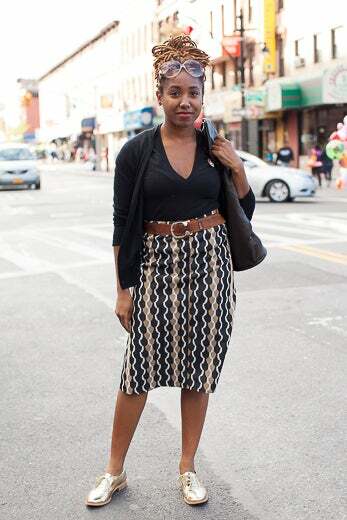 Aisha Joseph from Brooklyn mixes and matches patterns as she pleases. 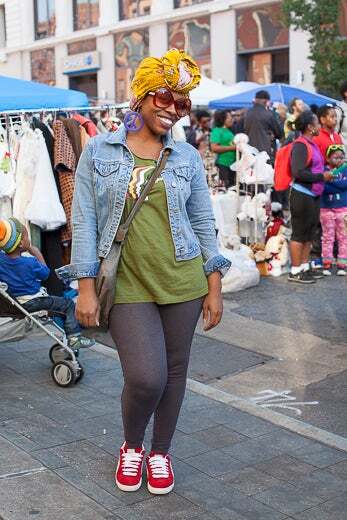 Mya Baker from Chicago rocking prints with personality. Frances Bradley from Michigan is perfectly cozy and cute. 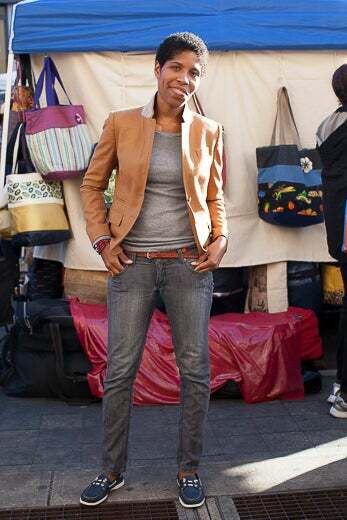 Antonia Baker from New York City in a motorcycle jacket, plus ripped jeans and biker boots equals simply downtown-chic. 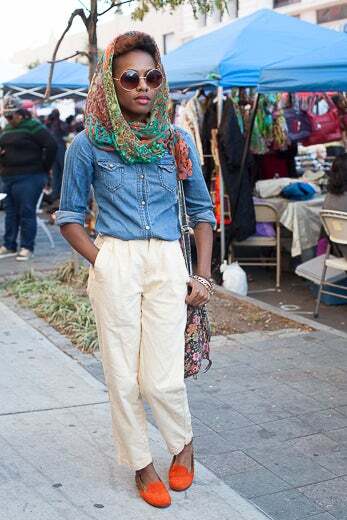 Yaa Cuguano from Brooklyn balances her simple style with a statement scarf that can't be missed. 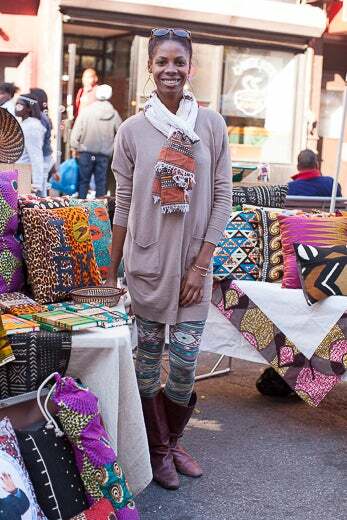 Sammy Sosa from Brooklyn is so down to earth in indigenous prints and natural tones. 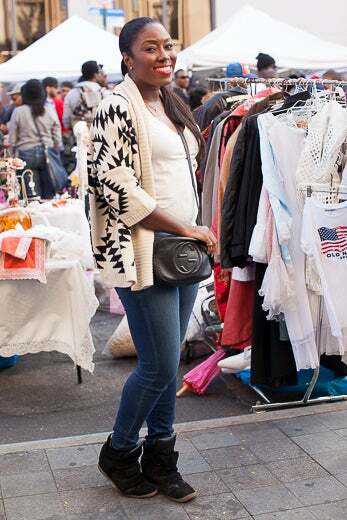 Antonia Baker from New York City in the weekend-chic uniform: T-shirt, jeans, a cozy cardigan and wedge sneakers. 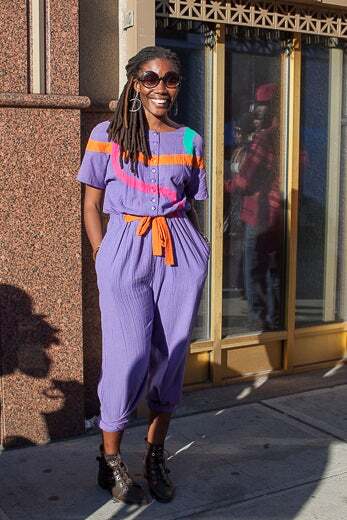 Helen Nurse from Brooklyn in a fab throwback pieces. 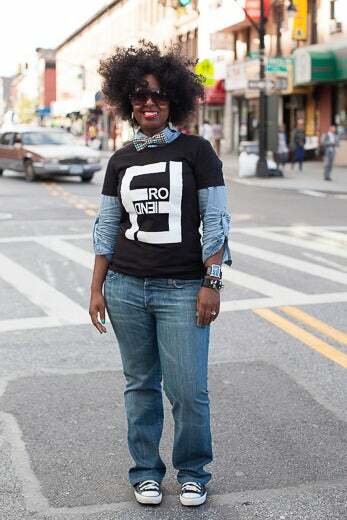 Andrea Alexandes from Brooklyn in a preppy uptown-meets-downtwown mix. 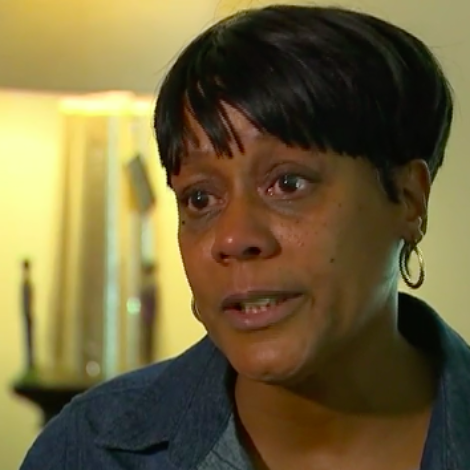 Jakita Miller from Brooklyn has it all wrapped up. 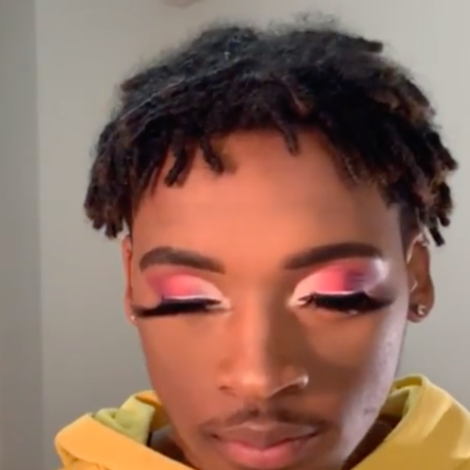 Ebonie Simone from Chicago fab in a DIY fringe top. 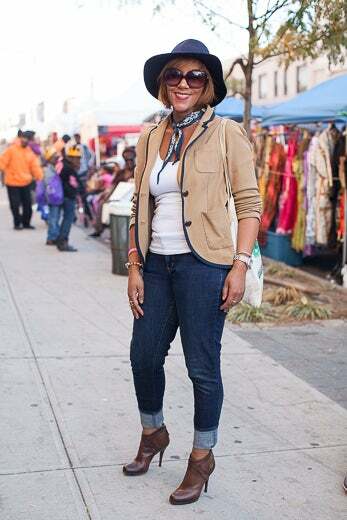 Sonya Allende from Brooklyn is so equestrian-chic. 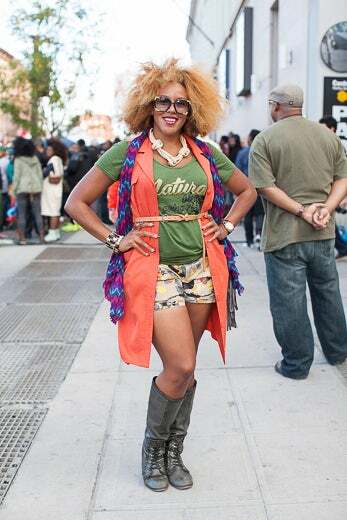 Sabrina Cates from Nola is glamoflauging her casual style in a scarf and oversized shades. Gia Peppers from Brooklyn puts a cap on it! Sydney Lopes from Brooklyn mixes knit and lace textures for a comfy saturday stroll-worthy style. 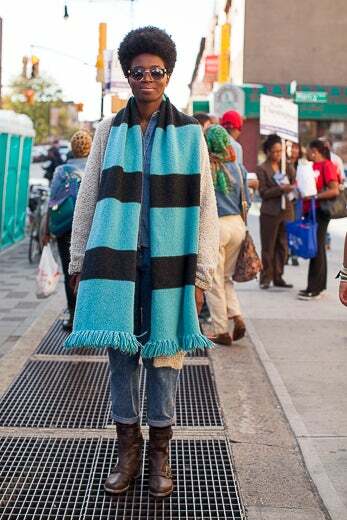 Nasozi Kakembo from Brooklyn brings basics to life with a little pattern play.